Arab Americans participate in every aspect of American society, from politics to entertainment to business to academia and beyond. Below is a partial list of prominent Arab Americans. Arab Americans have risen to the highest levels of government. John Sununu, former White House Chief of Staff, Donna Shalala, former Secretary of Health and Human Services, Spencer Abraham, former Secretary of Energy, Ray Lahood, Secretary of Transportation, Mitch Daniels, former Director of the Office of Management and Budget, George Mitchell, former Senate Majority Leader and Special Envoy to the Middle East, Elias Zerhouni, Director of the National Institutes of Health, and John Abizaid, retired General, are all Arab Americans. Arab Americans from every corner of the United States have served, and currently serve, in both houses of the U.S. Congress, and have been governors of several states. While some Arab Americans have served in government, other Arab Americans have served as civic leaders. 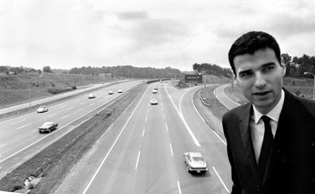 Ralph Nader, the famed consumer advocate, is a proud Arab American. Arab American actor, Danny Thomas, was founded St. Jude’s Children’s Research Hospital. And Candy Lightner, founder of Mothers Against Drunk Driving (MADD) is also an Arab American. Arab Americans are some of the most recognizable faces (and voices) in entertainment. 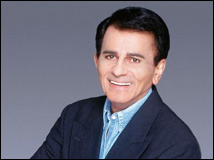 The pioneering disc jockey, Casey Kasem, is a proud Arab American. Prominent Arab Americans in Hollywood include actors Salma Hayek, Vince Vaughn, Tony Shalhoub (known to many as “Monk”), Jamie Farr (from the television series, M*A*S*H), Wendy Malick (best known for her role as Nina Van Horn in NBC’s sitcom, “Just Shoot Me”). In News, Hoda Kotb (co-host of “Today” and Dateline NBC correspondent) is also an Arab American. In music, hip-hop producer DJ Khaled is a Palestinian American, as is FredWreck, a hip-hop and pop producer who has produced songs for everyone from Snoop Dogg and 50 Cent to Brittney Spears and Justin Beiber. RedOne is an Arab American producer who has won two Grammy Awards and has co-produced some of the most iconic songs of the last several years, including Lady Gaga’s “Just Dance”, “Bad Romance” and “Poker Face”. Arab Americans have also excelled in business. Former Arab American Presidents and CEOs of major American companies include Jacques Nasser (Ford Motor Company), John Mack (Morgan Stanley), Youssef Nasr (HSBC USA), Ray Irani (Occidental Petroleum), Roger Farah (Polo Ralph Lauren) and Andrew Thomas (Heineken USA).